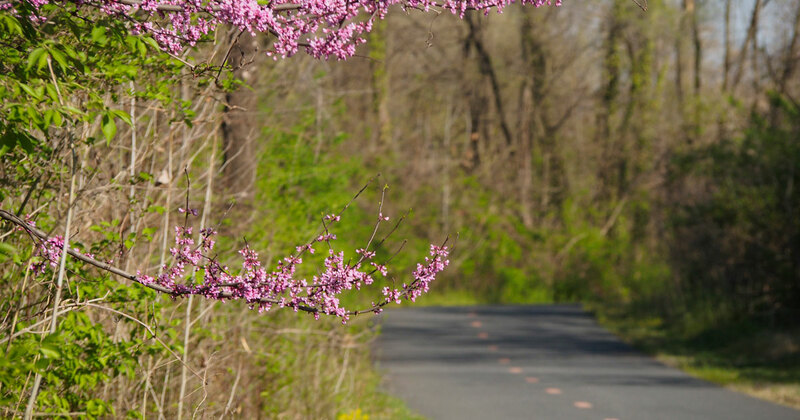 The Anacostia River Trail (ART) was developed as part of the decades-long Anacostia Waterfront Initiative, connecting riverfront communities to each other and to recreational opportunities along the river. Only 4.2 miles of 24 have yet to be completed. The project received a US Department of Transportation TIGER Grant in 2012 to fund construction of the segment adjacent to the Kenilworth Aquatic Garden. This segment was completed in 2016, providing a crucial 4-mile link between Bladensburg Waterfront Park and the southern section of the Anacostia River Trail. (5) The completion of the Riverwalk Trail along the waterfront on Buzzard Point, and connecting to the Washington Channel via 2nd St in SW DC. 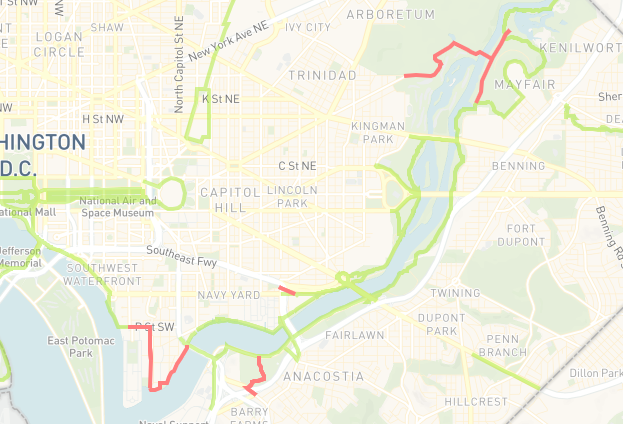 The Anacostia River Trail is mostly complete; the incomplete segments are highlighted in red. Click below to view the interactive web map. 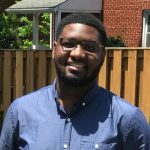 Who supports the Anacostia River Trail?